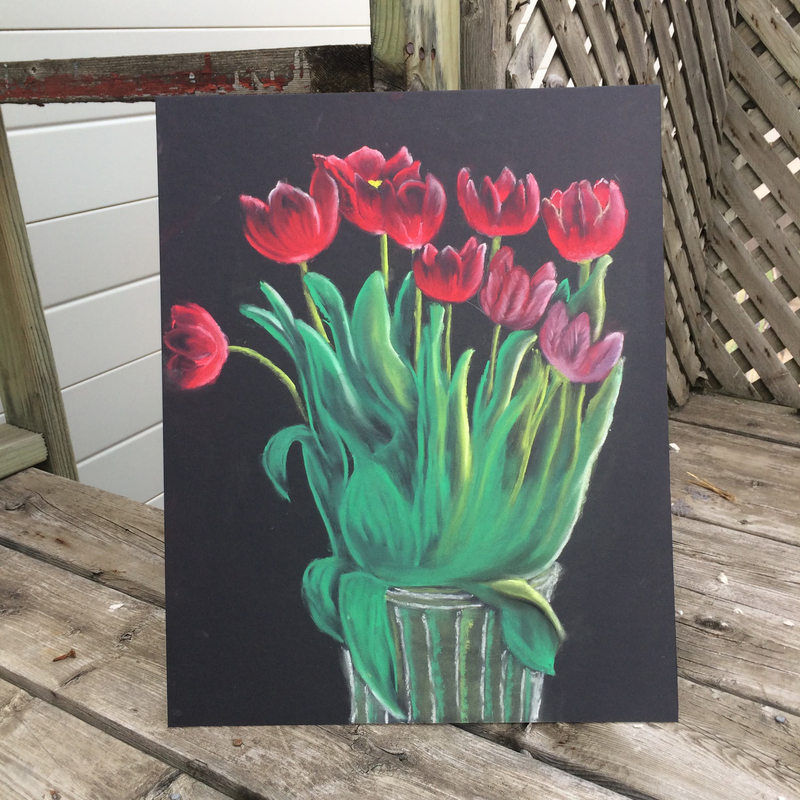 I don't work with chalk pastel that much, but I felt they would be the best medium to use in capturing the rich and bright colours of these tulips. To make the colours pop out even more, and to achieve a higher contrast between foreground and background, I decided to use a black illustration board. 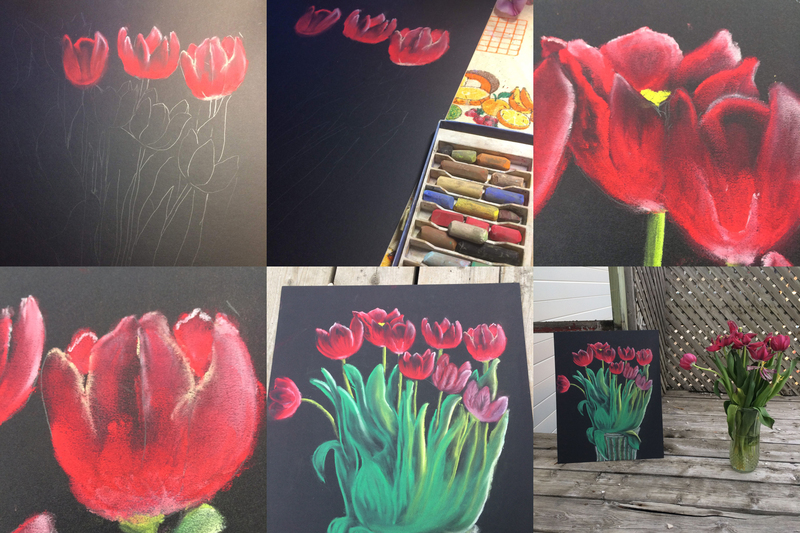 See a short, fast motion Instragram video post of me working on this art project.